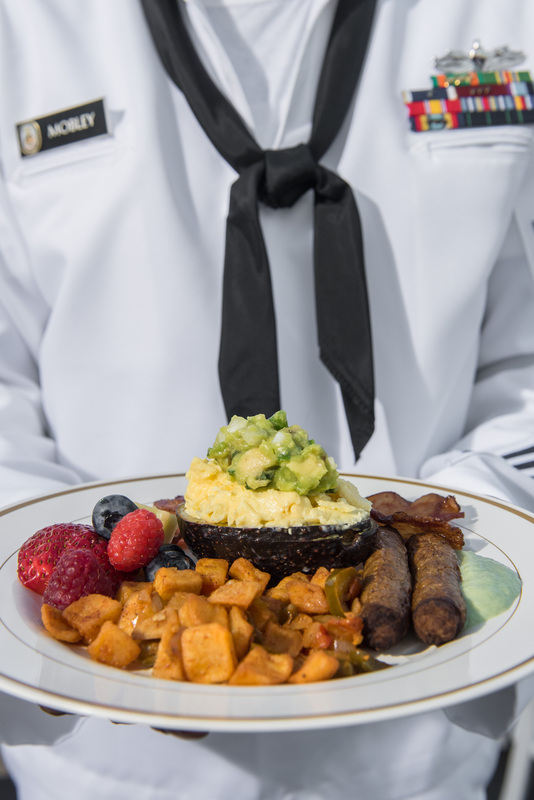 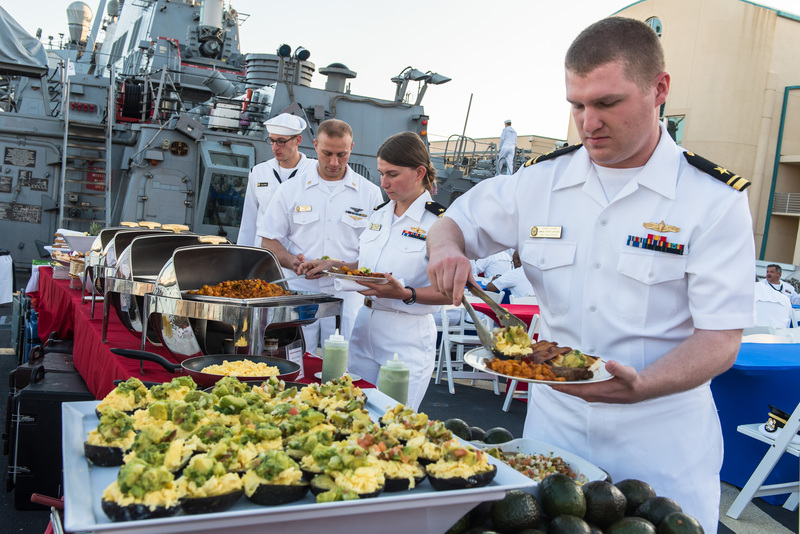 Eggwhites Special Event Catering had the supreme honor of catering a very special breakfast for over 300 active duty service men and women aboard the USS Cole, the recently restored Navy battleship that was attacked by Sudanese Al-Qaeda terrorists on October 12, 2000. 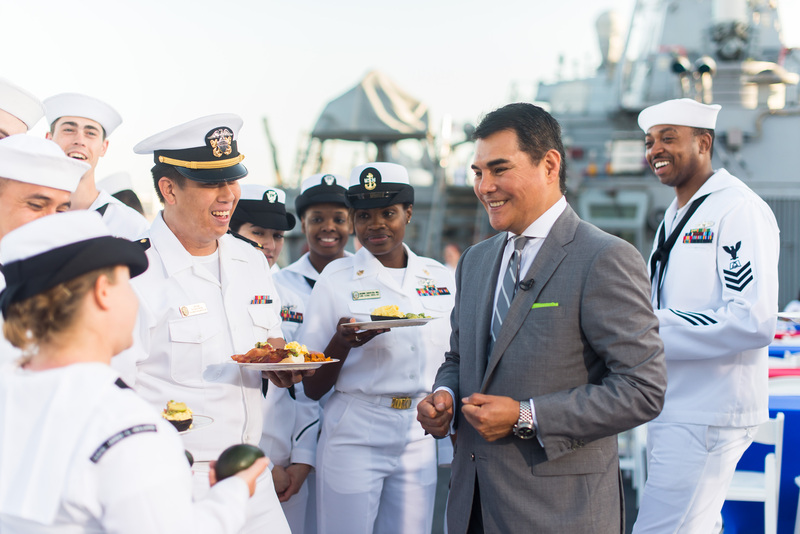 Earlier this month, South Florida welcomed hundreds of seagoing service men and women as they landed at Port Everglades in Fort Lauderdale for the 25th annual Broward Navy Days’ Fleet Week Port Everglades. 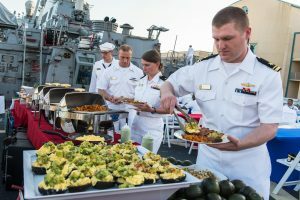 In addition to commemorating the 25th anniversary of the Broward Navy Days Fleet Week, this year’s Fleet Week also marked the 225th anniversary of the U.S. Coast Guard and the 100th anniversary of the U.S. 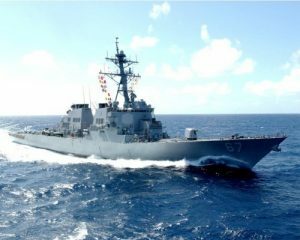 Naval Reserves. Eggwhites Special Event Catering prepared and served a number of fresh and healthy avocado-centric dishes on behalf of the event sponsor, Peruvian Avocado Commission. 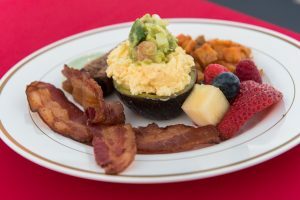 The Eggwhites team arrived on location beginning at 2:30 am to set up and prepare a feast for the first group of guests who arrived at 6 am. 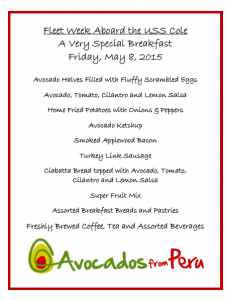 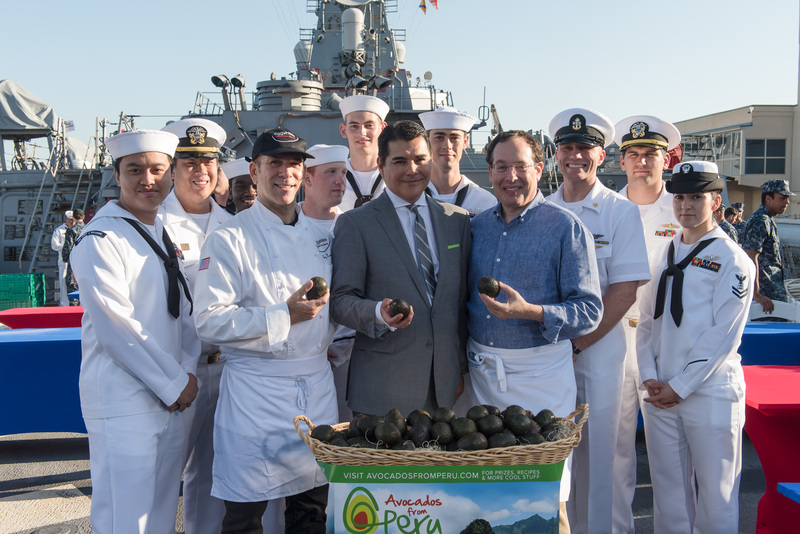 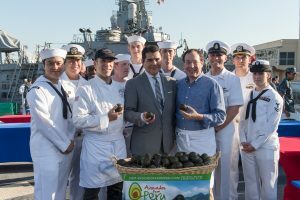 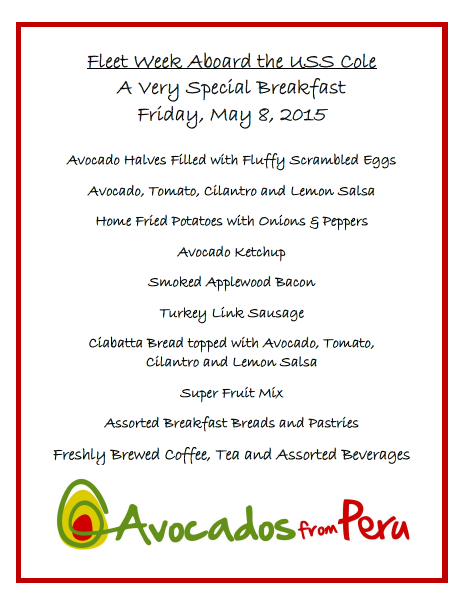 Nutritious and delicious avocados were incorporated into many of our menu items, including Fluffy Scrambled Eggs in Avocado Halves, Avocado Ketchup for our Home Fried Potatoes, and Ciabatta Bread spread with Avocado, Cilantro, Tomato and Lemon.